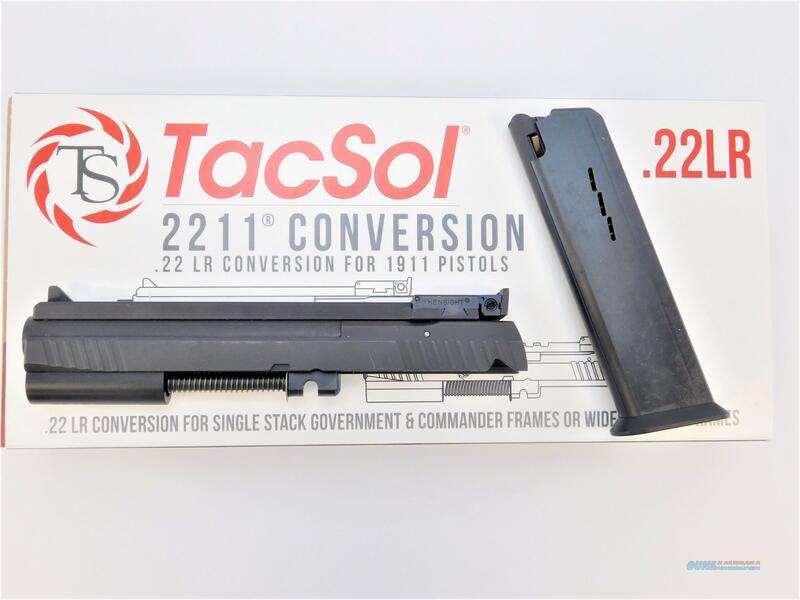 Quickly and easily convert your 1911 style handgun to fire .22 LR with this conversion kit from Tactical Solutions. Machined from a solid bar of heat treated steel, it easily fits the 1911 frame and has unmatched performance, durability and usability. It maintains a similar weight and feel to your 1911 pistol for realistic shooting and training. Includes one 10 round polymer magazine.